When a one safari-goer visited a picnic spot at Kruger National Park in South Africa, he came across more company than just the usual ants. 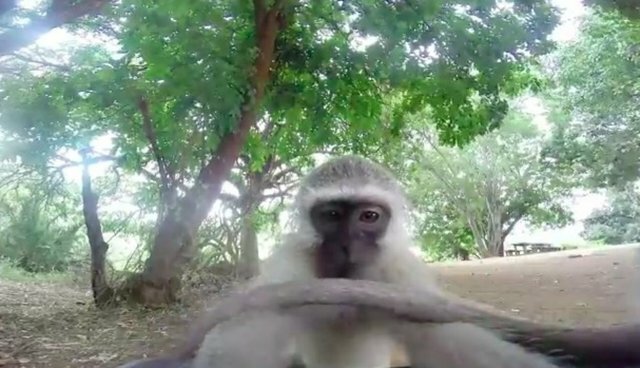 YouTube user B Grobler saw a group of monkeys near the spot, and mounted a GoPro camera to a carry case near the trees where young monkeys were playing. Naturally, the monkeys did what monkeys do: they investigated.